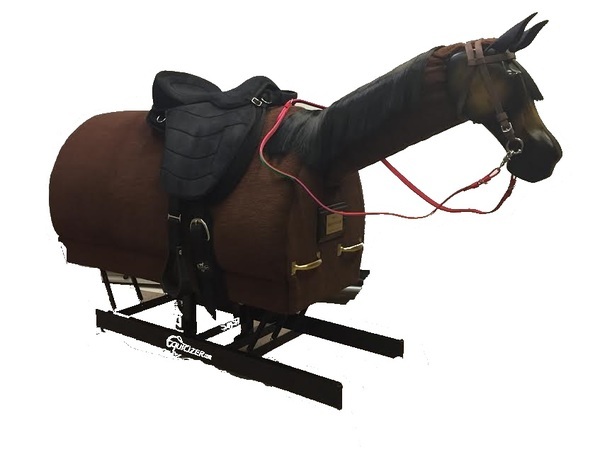 The Equicizer is a safe, beautifully hand-crafted, non-motorized mechanical horse that can be used anywhere by almost anyone. It is versatile and can be used by riders with a wide range of skill sets from beginner to professional. Equicizers are found in jockey rooms, therapy centers, and lesson barns across the world. Explore our site for more information about this fun learning and conditioning tool and you will see what a great addition it could be to your home or program! 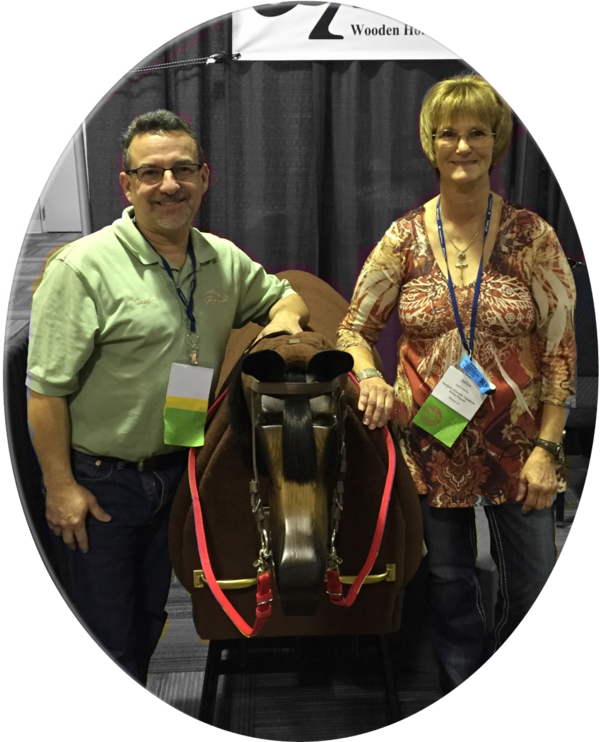 Frankie Lovato, Jr poses with head instructor and program director of Stampede of Dreams Therapeutic Riding Program, Jan Daniels. The Equicizer has now become even more irresistible! Great financing options are now available for businesses through QuickSpark Financial. We have partnered with this trustworthy company to increase accessibility to our product. 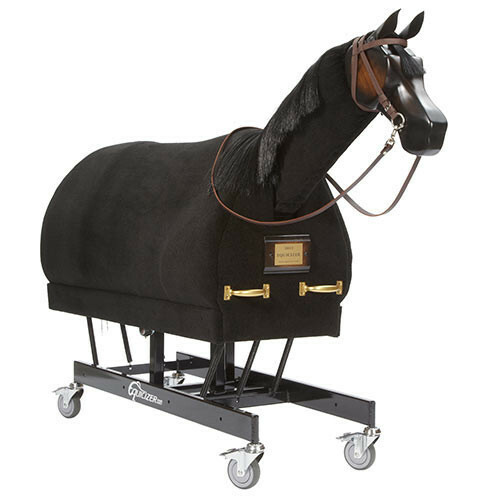 This is a great option for businesses such as professional instructors, stables, rehabilitation centers, clinics, hospitals, or non-profits that would like to purchase the Equicizer. We had a great time at the PATH conference in Cleveland, Ohio this past October. It is always wonderful to see the ways our colleagues are impacting the world through therapeutic riding. Click here to see the many ways the Equicizer can be used in therapeutic appications. The Equicizer Classic brought a winning bid of $3,175 in the PATH Silent Auction this year. 100% of proceeds from that winning bid went directly to PATH International. Reining Strength Therapeutic Horsemanship of Richmond, Texas on their new Classic Equicizer! The time to make your 2016 goals and start working toward them is fast approaching. Chances are, the Equicizer can help you reach one or more of those goals! The Equicizer is a fantastic tool for improving core strength and balance, which in turn makes you a more effective rider. In 2015, the Statistic Brain Research Institute reported America's number one resolution was to lose weight and number five was to stay healthy and fit. We say why drag yourself to the gym in the cold and snow when you can take the Equicizer for a ride in the comfort of your home? The health and fitness benefits are complimented by the fact that it's just plain FUN! 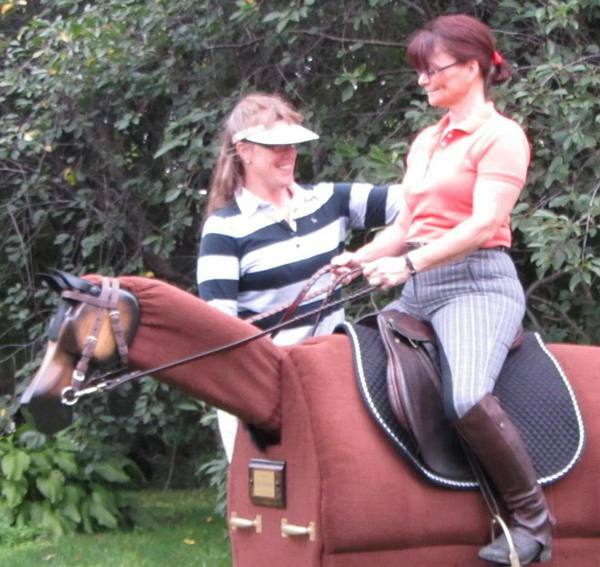 Heather Sansom (pictured above) MA, PhDc is a Certified Fitness and Riding Coach and a Certified Riding Instructor. She offers personal training plans or weekly online virtual coaching using the Equicizer. Heather has experience experience training riders of all ages which includes seniors, post-rehab, and riders with disabilities. Inquire at info@equicizer.com for more information on personalized Equicizer coaching from Heather.